A siren sounds faintly in the background. Cars speed by and weekend drivers lean uncharacteristically on their horns. 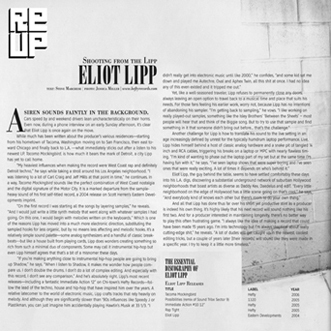 Even now, during a phone interview on an early Sunday afternoon, it’s clear that Eliot Lipp is once again on the move. While much has been written about the producer’s various residences  starting from his hometown of Tacoma, Washington moving on to San Francisco, then east toward Chicago and finally back to L.A.  what immediately sticks out after a listen to his newest LP, Tacoma Mockingbird, is how much it bears the mark of Detroit, a city Lipp has yet to call home. “My heaviest influences when making the record were West Coast rap and definitely Detroit techno,” he says while taking a stroll around his Los Angeles neighborhood. “I was listening to a lot of Carl Craig and Jeff Mills at that point in time,” he continues. In a way, Tacoma Mockingbird sounds like the perfect combination of West Coast nostalgia and the digital signature of the Motor City. It is a marked departure from the sample-heavy sound of his first self-titled record, a 2004 release on Scott Herren’s Eastern Developments imprint. “On the first record I was starting all the songs by layering samples,” he reveals. 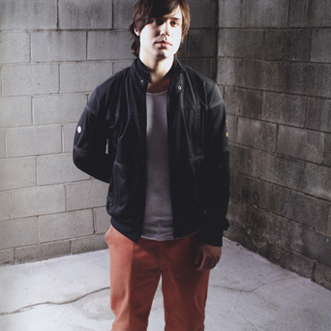 “And I would just write a little synth melody that went along with whatever samples I had going. On this one, I would begin with melodies written on the keyboards.” Which is one of the reasons Lipp has moved into a much more electronic direction, substituting the sampled hooks for less organic, but by no means less affecting and melodic hooks. It’s a relatively simple sound palette  some analog synthesizers and a handful of classic breakbeats  but like a house built from playing cards, Lipp does wonders creating something so rich from such a minimal duo of components. Some may call it instrumental hip-hop but even Lipp himself agrees that’s a bit of a misnomer these days.